So as you may know from reading this blog, I have been a fan of FLOR ever since seeing Kevin Sharkey do a demonstration of how easy it is to use their versatile, stylish product on the Martha Stewart show. We used FLOR tiles in Little G's nursery and then more recently redecorated our master bedroom using a new area rug we created with FLOR tiles. We also have used the left over FLOR tiles from Little G's room as a play-rug for our living room and have a few tiles that we use as a mat in front of our kitchen sink. Ok...so I love me some FLOR. Well, as you ALSO may know from reading this blog, I love to blog. 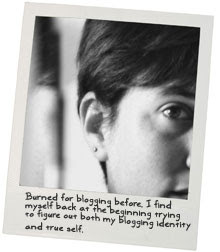 I have been blogging since starting my first personal blog back in 2005. I blogged as Mrs Corn at Weddingbee starting in 2007 and even in the aftermath of the most difficult situation to ever occur to me from blogging, I STILL blogged..because I love to write and it is a creative outlet for me. A few weeks ago, the lovely people at FLOR tweeted that they were rethinking their blog and looking for writers and to contact them if we were interested. I contacted FLOR and received a fairly standard email reply with the requirements they were looking for which included, but were not limited to, having 6+ months of blogging experience, an eye for design, a few writing samples, a resume, etc. As I mentally checked off all of the requirements in my head I started to get really excited. I KNEW I was perfect for the job. So I set to work creating an online resume...complete with custom header (let's all say a quick shout out to the babysitter I have on Tuesdays for affording me the time to create the online resume). I submitted it and...drumroll please...I am pleased to announce that I have been chosen to blog for FLOR!! People, I can't even BEGIN to tell you how excited I am to have been selected. There are, of course, a whole host of reasons that this is exciting, but to be brutally honest, I can't help but feel a little validated. It should be noted that I hesitated publishing the next few paragraphs because they don't necessarily paint me in the most humble light, but I wanted to keep this real so here we go. There are some people in my life who have suggested at one time or another that perhaps blogging wasn't an appropriate activity for me. While their concern was justifiably because of the personal impact my writing had on my immediate family, it was also suggested that although I like to write and although I think I have a valid voice with an audience that appreciates what I have to say, blogging isn't 'real' writing. I am certainly not a writer because writers are published and get paid. So, I sort-of feel like having a company; a real. live. design-focused company; HIRE me to blog for them not only validates that I AM a writer but also validates all the work I have put into my personal blog over the years. Had I not continued to blog, I wouldn't have had this opportunity. On top of all that, beyond the initial I-told-you-so-itis that creepd into my mind, I feel like this validation also half shuts down the negative-nancy voice in my own head that tries to convince me that I have no design sense what-so-ever. So anyway, that's the big news around here. The FLOR blog redesign is still in its infancy stages, but I will be sure to let you know when the first posts go up. In the meantime, you can check out the online resume I created by clicking on the picture at the top of this post. CONGRATULATIONS! What a perfect fit!!! Pshaw to the naysayers. You are totally a real writer. I'm so proud of you! P.S. — LOOOVE the online resume you created for the application! COngrats M! Im so happy for you. Love your blog and cant wait to read all the new stuff! Congratulations! And I love the online resume you created - what a fantastic way to show them exactly how perfect you are for this job! Congrats! What an amazing opportunity! Congrats to you! I'm so glad they chose you! I love your writing style and you are totally going to rock their blog out! Congratulations! That is so exciting, what a great opportunity! I love the online resume you created. FLOR tiles are awesome! I have a ton all over my house. Love them. Congrats again! CONGRATULATIONS! That's great news, personally and professionally! how exciting! Yeah - CONGRATS!! I first used FLOR tiles in a kids playroom 4 years ago! :) Ever since, then I have been hooked. I also profess my undying love for FLOR on my blog, so I can't wait to see what's in store! That is fantastic news! Congrats!!!! That is pretty darn cool. So when do you start or how is it going? Thanks for all the wonderful words of congrats...you peeps truly are the best! I've been in contact with the woman I will be reporting to so I at least know it isn't a cruel joke from the universe. Haven't started yet and I don't have a specific start time as of yet, but I will keep you all posted. Until then, please remain firmly planted at the edge of your seats.